Üse Junger aka Younger welcomes you. I live in Zurich, Switzerland. My heart beats for Pink Floyd, Deep Purple, Uriah Heep, Krokus, Mike Oldfield, Dire Straits, Alan Parsons Project.... just to name a few. 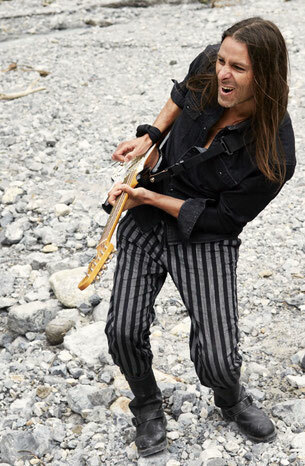 YOUNGER is also the singer and guitar player of the well established Swiss Pink Floyd Tribute Band Crazy Diamond. Together with some blokes, he founded this combo in 2001.